The Norwegian Epic has just returned from a 3 week dry dock upgrade. So what is new I hear you ask… well quite a lot! The upgrade has enhanced almost every area of the ship from techincal upgrades to dining and entertainment. The new features have been put in place just in time for the Epic to start her winter sailings to the Western Med and Canary Islands. 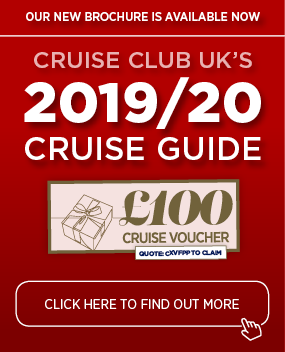 These sailings have been phenominally popular here at Cruise Club UK so Im sure those of you already booked, or looking at booking, on one of these sailings will be very interested in her new offerings. The Cavern Club – This is a new entertainment venue on board ( taken over from the Fat Cats venue ) and has been designed in partnership with the owners of the legendary Liverpool club. The venue will play Beatles insipred music from various international artists. I imagine this will be a hotspot on board! SplashGolf – This is one aimed at kids but i’m sure the adults might want to have a try too! This is a combination of mini golf and water features and will be in the in the kids aqua park on board. Great family fun to be had here im sure. Priscilla Queen of the Desert – This brand new show will take over from the Blue Man Group and will feature over 500 costumes and 200 head dresses! Wow, This is going to be a very visual show! All dining venues on board have had a refurbishment with new upholstery, carpets and decoration. The ship will boast a brand new photo gallery, card room and library. It seems no stone has been left unturned with enhancements made to the Mandara Spa, Casino, Epic Theatre, The Haven complex and the Bliss Ultra lounge. The ship itself has undertaken some technical enhancements such as new rudders, air duct upgrades and improved refrigeration for storerooms so she is from top to toe upgraded! 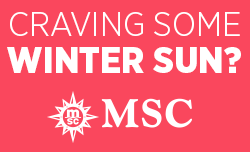 If you are lucky enough to be sailing on her this winter and onwards you will be in for a treat. I would love to see your pictures and hear your thoughts when you return! Places I just had to go back to. Discover Asia with a Cruise in 27 nights!